Do you love visiting lighthouses on your vacations? One of my favorite things to visit is nearby lighthouses. They make great Instagram shots and perfect family adventures! Every single lighthouse has distinct features, and most have a unique museum to teach you about the history of the surrounding area and the lighthouse, itself. No matter which location (Hilton Head Island or Ormond Beach) it is easy to spot these great lighthouses. Scroll down to see my favorite lighthouses near Spinnaker Resorts! 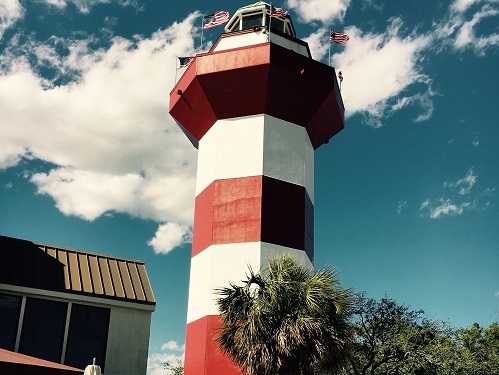 For almost 50 years, this red-and-white-striped Harbour Town Lighthouse has served not only as a beacon for many yachts in Harbour Town Marina but also for the countless number of golfers at the 18th hole of the Harbour Town Golf Links. Rising 93-feet above the Calibogue Sound and framing the 18th hole, it is the back­drop for one of golf’s most picturesque finishing holes! It is also a very popular icon for the Heritage Golf Tournament. If you are visiting in March or April, the red stripes on the lighthouse are altered to fit the plaid nation for the Heritage! 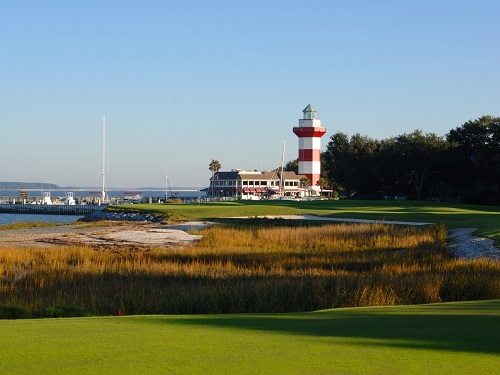 The Harbour Town Lighthouse also stands as an iconic landmark to symbolize Hilton Head Island. As you climb all 114 steps to the top of the lighthouse, you can stop to admire the self-guided tour along the way. Don’t forget to check out one of the most unique gift shops on Hilton Head Island, nestled right at the top of the lighthouse. It features one the largest collections of lighthouse memorabilia in America. View the live webcam from the top of the lighthouse here. 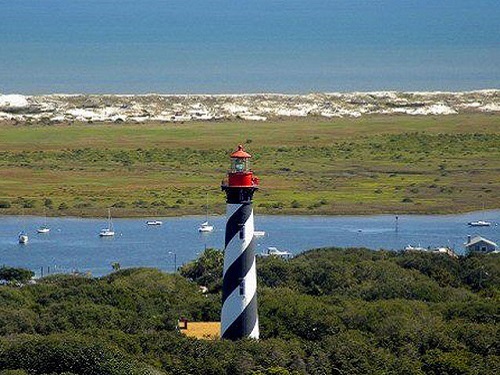 Just across the Calibogue Sound from the Harbour Town Lighthouse, you can get a glimpse of the Daufuskie Lighthouse, also known as the Haig Point Range Light. Built in 1872, this lighthouse is a combination of a lighthouse built on the keeper’s cottage. The light at the top of the keeper’s cottage reaches a height of 25-feet and was originally powered by a kerosene lamp. The lighthouse was originally set to show mariners a safe passage through the channel. The cottage is now used for guest lodging and special functions by the Haig Point Development. 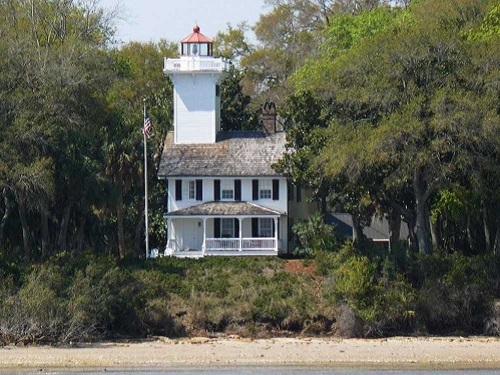 You can spot this unique lighthouse by taking a boat tour with Live OacOac, a kayak tour with Outside Hilton Head, or doing a tour on Daufuskie! Ponce De Leon Inlet Light Station was officially titled a National Historic Landmark in 1998. The lighthouse tower and museum are located 15 miles south of Spinnaker Resorts Royal Floridian in Ormond Beach, Florida. The lighthouse is close to Orlando attractions, historic St. Augustine, and the Kennedy Space Center. The Ponce Inlet Lighthouse is the tallest lighthouse in Florida. Visitors can climb 203 steps to the top of the 175-foot tower to enjoy magnificent views. This is one of my favorite lighthouses, especially around sunset! You can also walk around Ponce Inlet to enjoy the shops, restaurants, and visit Daytona Parasail. 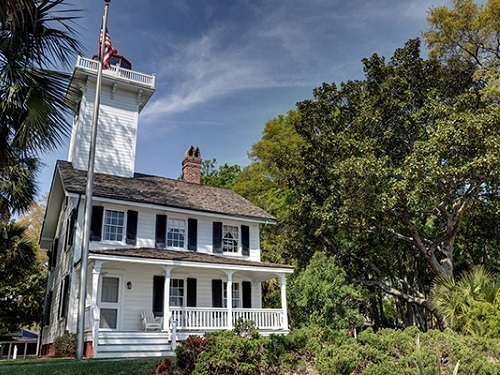 The St. Augustine Lighthouse & Maritime Museum, Inc. is a private, non-profit museum dedicated to its mission “to discover, preserve, present and keep alive the stories of the Nation’s Oldest Port as symbolized by our working St. Augustine Lighthouse”. 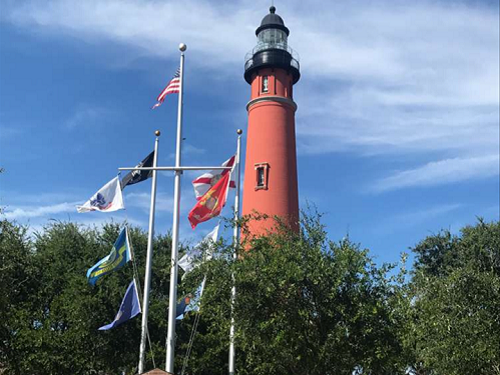 The Junior Service League (JSL) of St. Augustine began a massive preservation effort to restore the St. Augustine Light Station from 1980 and through 1994. Since 1995, the Lighthouse has stood as a beacon for locals and tourists to recognize this beautiful and iconic symbol. 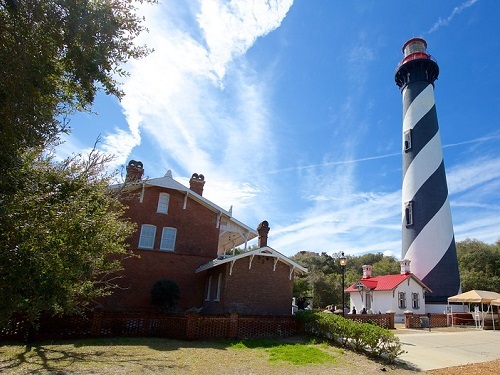 You can climb all 219 steps up the historic lighthouse to see a breathtaking view of St. Augustine and the waters of the oldest continually occupied European port city in the continental United States. 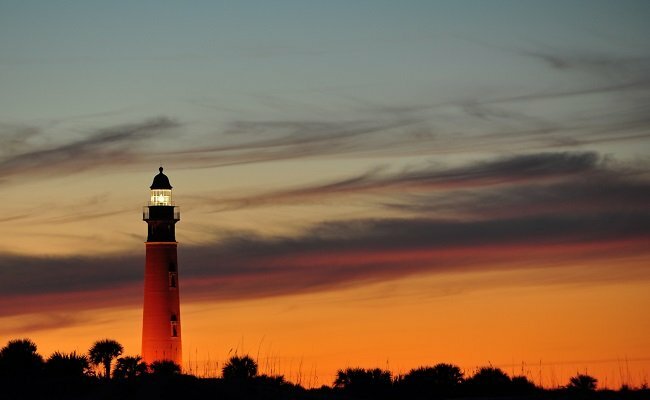 You can see this lighthouse from some my favorite spots in St. Augustine, including the Alligator Farm! 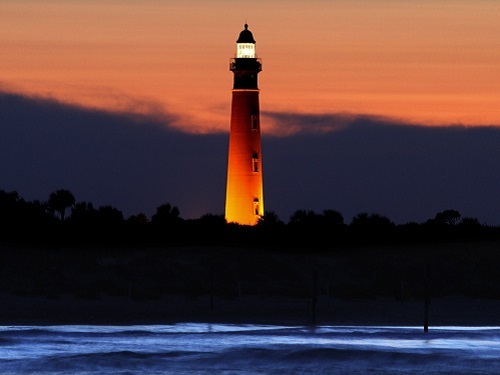 What are your favorite lighthouses near your vacation home? Share them with us on social media!